Leader of the Deadlock Gang. Overwatch’s 29th hero has officially been revealed, and she is a gunslinging DPS character named Ashe. Game director Jeff Kaplan announced Ashe live from BlizzCon, along with a cinematic that takes place on Overwatch’s Route 66 map. In the clip, Ashe goes toe to toe with Jesse Mcree and it is revealed that she is the leader of the Deadlock Gang and someone who has some serious ties with Mcree. The cinematic also revealed a potential future hero, who is a shining robot with a very futuristic design. This is the first time that Blizzard has given a good look at the Deadlock Gang, but the group has been heavily teased in voice lines and various in-game easter eggs. 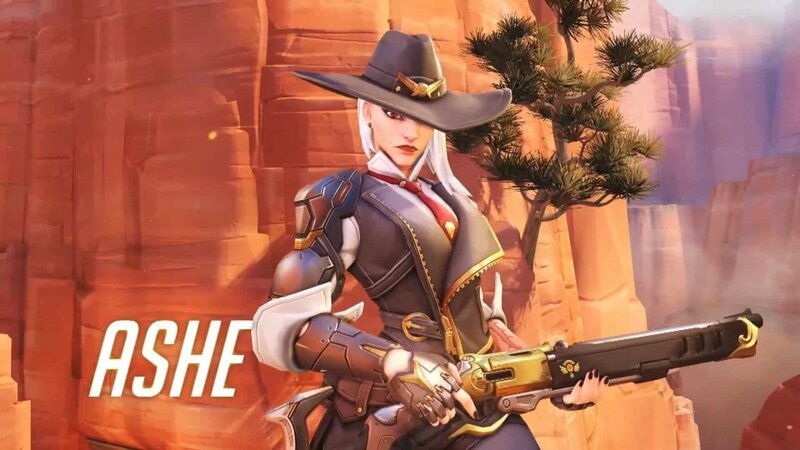 As for Ashe’s weapon set, her main weapon is a mid-ranged rifle that seems able to counter a number of heroes, including Widowmaker and Hanzo, and her secondary fire is a shotgun that deals knockback damage and combos well with her primary fire. She also possesses a TNT-style projectile that seemingly has the ability to puncture shields, which would work well against characters such as Reinhardt and Brigitte. Lastly, Ashe’s ultimate ability involves her calling on her robot friend Bob, who launches enemies into the air and rains machine gun fire on them. Ashe is the newest addition to Overwatch and first since everyone’s favourite hamster, Wrecking Ball who was the 28th hero introduced to the game. It is unclear how Ashe will affect the game’s meta going forward, but her move set definitely opens up some interesting possibilities. More information about Ashe and Overwatch will be revealed later today at BlizzCon and this article will be updated accordingly. BlizzCon runs today and tomorrow and promises to feature a bevvy of announcements, esports competition and behind the scenes experiences.